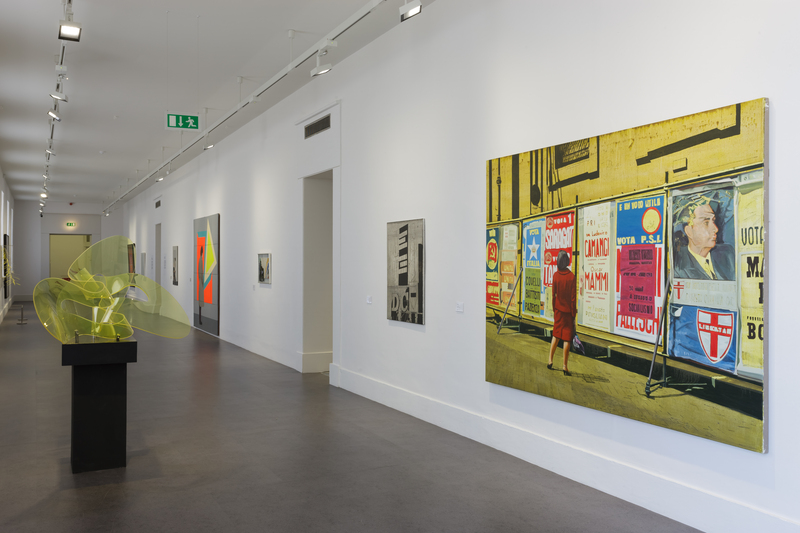 Currently on view from the IMMA Collection is an exhibition of works that not only shows particular artists’ practice at a given time but also consciously draws attention to a key figure in the story of cultural production in Ireland, in this case David Hendriks and his renowned gallery. First called the Ritchie Hendriks Gallery (as a tribute to his Hendriks’ grandmother) it was later renamed David Hendriks Gallery. Originally from Jamaica, Hendriks came to Ireland via London to study economics at TCD. Encouraged by friends including Cecil King and Patrick Hennessy he opened his gallery in 1956 first at 3, St Stephen’s Green and from the early 1960s at No. 119 which he ran until his death in 1983. The early years of the Hendriks Gallery coincided with the extreme recession of the 1950s when there were very few opportunities for artists to have their work seen or less still bought. Leo Smith was the only other gallerist who had recently opened the Dawson Gallery. Victor Waddington was in the process of moving his gallery to London. Along with some private income Hendriks set up a framing business to help subsidize the gallery’s activities. From the beginning he showed a variety of artists as well as exhibitions of prints by Picasso and Matisse. His initial list of Irish artists included Patrick Collins, T.P.Flanagan, Patrick Pye, Cecil King, Arthur Armstrong, Colin Middleton,George Campbell and Barrie Cooke; in the late 60’s he added Deborah Brown, Sonja Landweer and Frank Morris. In 1963 he supported the Independent Artists Group with an exhibition New Works by Five Artists which showed Brian Bourke, Michael Kane, John Kelly, David O’Docherty and James McKenna. 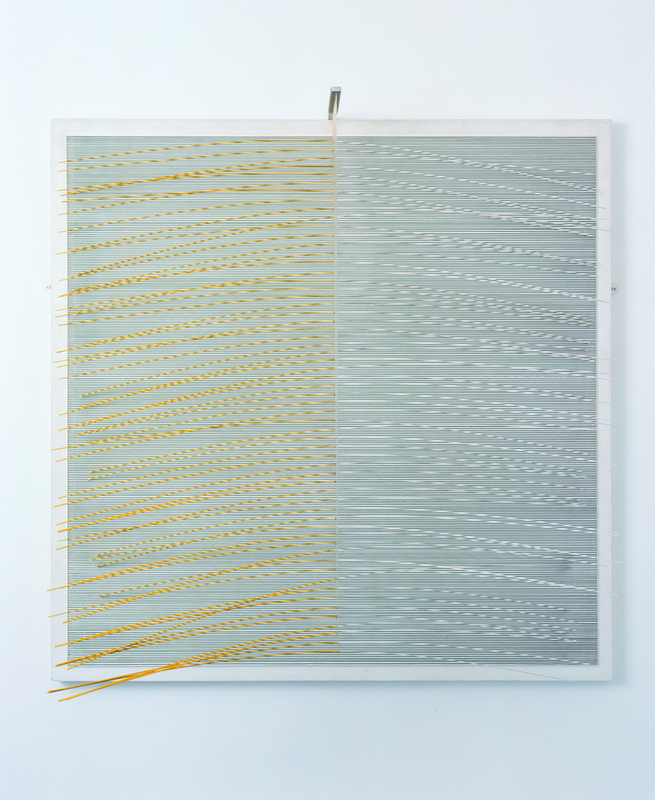 Jesus Rafael Soto, Curvas Inmaterilaes, 1966. Having moved to 119 St Stephen’s Green, from the mid 1960s Hendriks began regular shows of international contemporary art. His inaugural Kinetic Art exhibition in 1966 was a museum-style show curated by Fr Cyril Barrett, SJ, followed in 1967 by an exhibition of Op Art also curated by Barrett. Barrett provided the introduction for Hendriks’ long term link with the Denise René Gallery, Paris. Denise René was a champion of post-war abstraction and introduced several canonical movements of post-war art to the public, notably Kinetic and Op Art whose chief exponents were Paris-based South Americans artists such as Carlos Cruz-Diez, Jesús Raphael Soto and Julio Le Parc as well as major European figures such as Jean Arp, Alexander Calder, Piet Mondrian, Victor Vasarely, François Morellet and others. Through René Hendriks introduced many of these artists to Irish audiences. 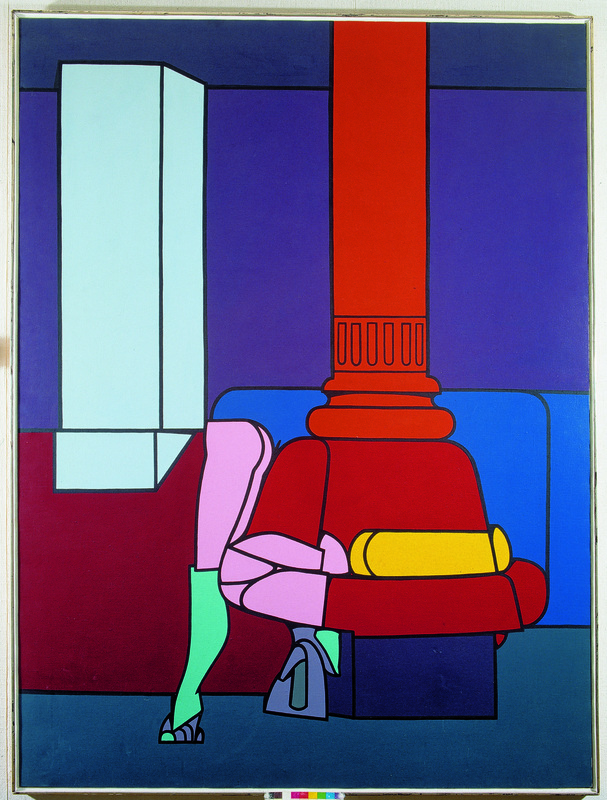 A number of Hendriks’ shows were very influential on Irish artists at the time and may be can be seen to have diversified the American-weighted Pop Art and Minimalism vanguard as represented in ROSC ’67 and ’71 in favour of more experimental and experiential Latin American developments. With improving economic conditions from the mid 1960s and the emergence of an Irish corporate sector there was interest in larger artworks to complement the minimalist lines and unadorned surfaces of the steel, glass and concrete ‘Mies van der Rohe inspired’ buildings designed by leading architects Ronnie Tallon and Robin Walker of Scott Tallon Walker. In the early 1970’s Hendriks took on new generation of young artists such as Robert Ballagh, Adriaan van der Grijn and Roy Johnston who worked on a large scale, in a hard-edged style. Valerio Adami, Beauty Parlor, 1970. From the early ‘70s Hendriks showed aspects of New Italian Art including Pop Art paintings by Valerio Adami and collages by Enrico Baj and presented the first Arte Povera exhibition seen in Ireland. Germano Celant, the Milanese art critic and impresario who coined the term ‘Arte Povera’ in 1967, and was involved in the show, came to Dublin to give a lecture. Also at that time Hendriks began to show James Coleman and Brian O’Doherty/Patrick Ireland. Work from IMMA’s current exhibition, Collection: Conversations. Introduced by Cecil King to collecting, and also to Hendriks himself, it was through the Hendriks Gallery that Gordon Lambert acquired his important collection of Kinetic and Op works, international prints and multiples and many works by Irish artists that have ultimately come into the IMMA collection. Work from IMMA’s current exhibition, IMMA Collection: Conversation. As well as a tribute to David Hendriks, the presentation of this distinctive group of South American and European artists in IMMA Collection: Conversations will also coincide with Propositions, the exciting exhibition of Brazilian artist Helio Oiticica. 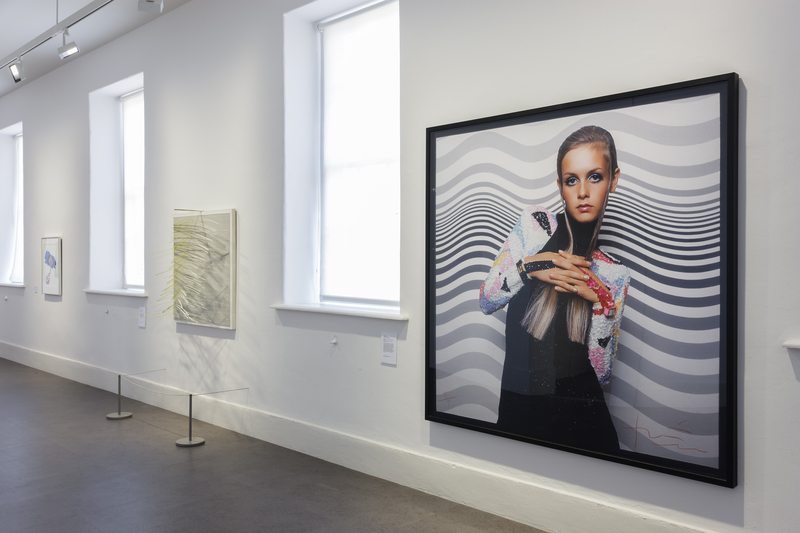 A group of works from the IMMA Collection by artists including Cruz-Diez, le Parc, Antonio Dias as well as a Fluxist/Conceptual work by Irish artist Noel Sheridan have been curated as a sort of kinaesthetic ‘doorway’ for visitors en route to the Oiticica show. It’s interesting that the artist that exhibited the most over the years at the Hendriks Galleries(15 out of 24 years)was the realist artist Patrick Hennessy. In fact had it not been for Hennessy’s consistently successful end of year exhibitions I doubt if Hendriks would have been able to show many of the “new wave” artists.